Providing maintenance to the outside of your home this fall goes a long way in preventing many different types of pests from entering your home. Called overwintering pests, they include specific insects and rodents who can begin entering your home during the fall. They will seek also seek shelter in your home when it turns cold. The following are tips for homeowners to use in conjunction with professional pest control in Fort Worth, TX to keep your home pest free. Contact the Bug Dude today to schedule services. The invading pests of fall can also bring viruses and disease into your home. The cockroach may travel through the sewer pipe, and into unsealed food supplies, or crawl over the dishes in the cabinet and silverware in the drawer. The bacteria and viruses they leave behind can make you and your family sick. Rodents are another pest that carries diseases and crawls over canned goods and among the dishes, and on counters. Unfortunately, they also chew on your home’s electric wiring and can cause a house fire. They chew through walls and may chew on furnishings, causing damage throughout the home. Droppings and possibly gnaw marks, or shredded paper are signs of an infestation. Check inside and outside of your home for any holes or cracks where rodents could possibly enter your home. 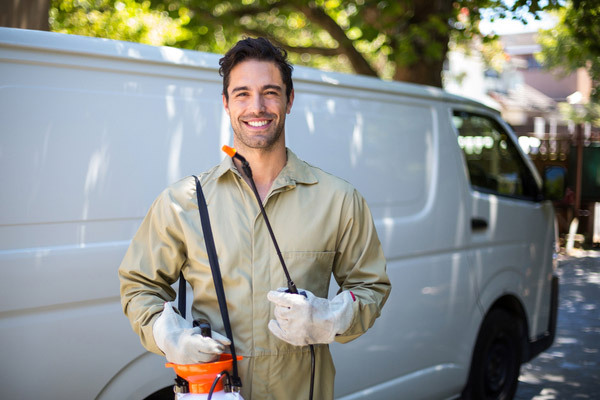 Our technicians can take care of your pest control in Fort Worth, TX needs. Termites can chew their way through your home’s structure, weakening it and can cause extreme destruction. You may not even know they are there, until they swarm in the spring. Some species of spiders live longer than a year, and they will find your warm home an inviting place to overwinter. These include the poisonous species no homeowner wants in their home. Schedule professional pest control in Fort Worth, TX today. Many homeowner’s choose to provide their own pest control. However, a professional has the equipment to spray hard to reach places, such as the roof line and upper story window frames, for example. A professional also has the knowledge to identify specific pests, their preferences, and the best means of treating them. Fall is a time when overwintering pests will enter your home. Maintenance and professional pest control in Fort Worth, TX can keep your home pest free. Check screens for a tight fit, and if gaps are present, replace them. In addition, repair holes and tears or replace the screens. Secure screen wire over plumbing vents. Vents that exhaust heat, such as a gas heater, gas water heater and fireplaces will require heat resistant mesh wire or other product designed for it. Damp or wet areas attract pests in your home. Repair leaky roofs, leaky plumbing, and install a sump pump in wet basements or crawl spaces. Call today to schedule pest control in Fort Worth, TX. Seal cracks, gaps, holes and crevices on the home’s exterior using caulk and/or expanding foam. The areas you want to check for gaps where pests may enter include around duct work, plumbing, cables, or others. Mice can fit through a hole the size of a dime, so leave no gap untreated. Items that exhaust heat require a specialized high heat tolerant caulking. In addition, seal holes in siding and repair loose mortar on brick exteriors. These are also simple ways to keep cold air from entering your home in the winter, and hot air in the summer. Maintain a clean home, and clean up crumbs and dirty dishes. If you can’t wash dishes right away, store them in the dishwasher. Never leave water sitting in the sink. Store non-perishable food in airtight containers. Dispose of garbage routinely, and ensure a tight fitting lid. Replace worn, cracked or warped weatherstripping, and replace door sweeps. Firewood should be stored at least 20 feet away from your home. Furthermore, stack it on concrete blocks to keep it off of the ground. Trim shrubs and trees at least 2 feet away from your home. Use rubber mulch or gravel in flower beds. Never use bark mulch which attracts termites and encourages other insect infestations. Eliminate brush and junk piles to discourage pests. Keep grass neatly mown to discourage rodents and other pests. Don’t leave pet food out overnight, and seal the bags at all times. Pet food will entice pests to enter your home. Repair gutters and ensure proper drainage. Check the ground slope against the home’s foundation to ensure proper drainage. Gutter extensions are also effective in carrying water away from the foundation where drainage is less than desired. Don’t store paper products in your home. For example, cockroaches, silverfish and rodents will take advantage of paper products. For those you can’t discard, store them in tightly sealed plastic containers. Have dead trees and stumps removed. Check children’s outdoor toys before storing them or bringing them indoors. Treatment of fire ants will reduce or eliminate new beds in the spring. 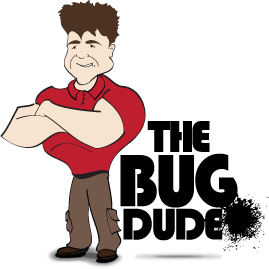 The Bug Dud is here to help for your pest control in Fort Worth, TX. If you see a lot of yellow jackets or wasps flying, it is likely a nest is nearby. Check under eaves, roofs and decks of all structures for wasp nests. Yellow jackets typically build in the ground. Yellow jackets can often be seen flying to the nest just before dusk. If you suspect a wasp or yellow jacket problem, we can help. Contact The Bug Dude for professional pest control in Fort Worth, TX. These pest-proofing tips will assist to keep pests away from your home in the fall when the temperature begins to drop. However, if you have a pest problem, contact The Bug Dude to schedule effective pest control in Fort Worth, TX.